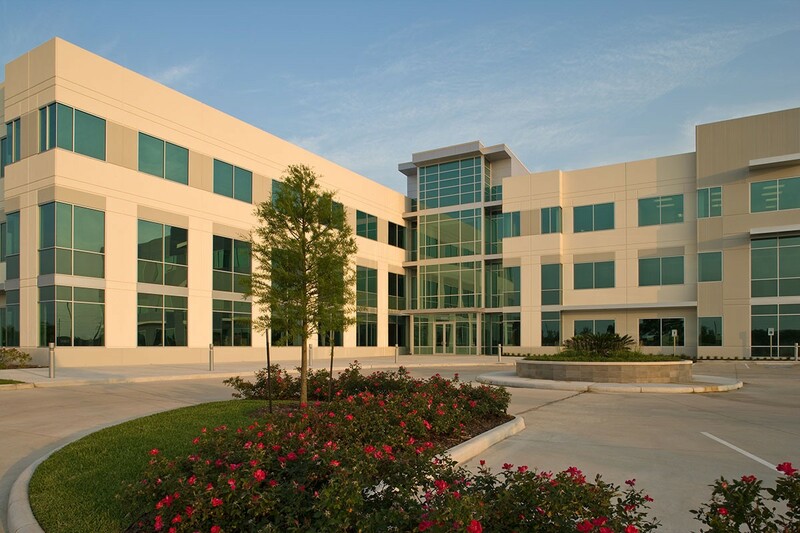 Sam Houston Crossing Building 100 is a three story value office building. The overall layout is a “Z” building configuration composed of a central glass encased lobby area with 2 three-story office volumes; each with column free floorplans from core to skin. 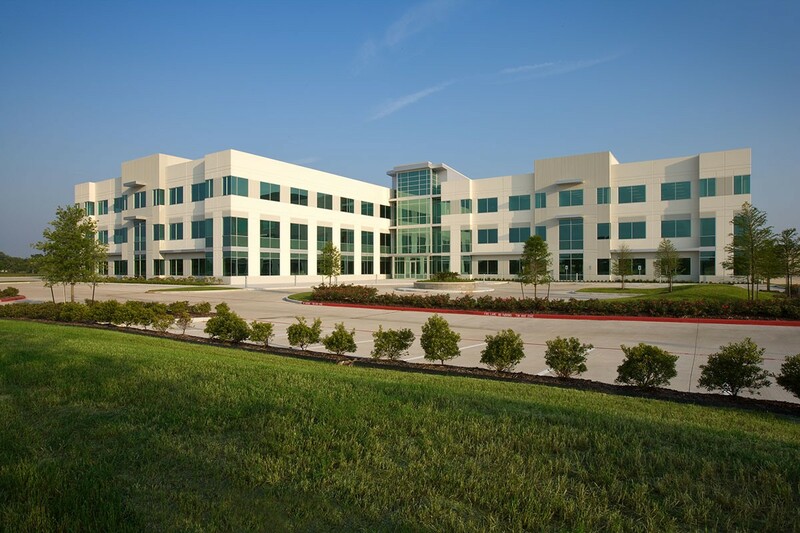 The project is the first constructed in a 42-acre master planned business park. Powers Brown Architecture provided master planning, architecture, and interior design for this project which has become a prototype building for Duke Realty’s future Office Developments within the Houston market. 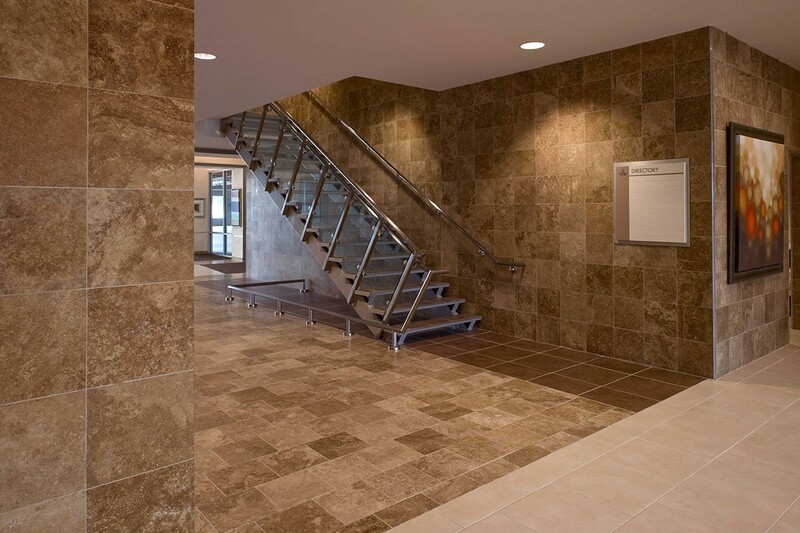 A combination of large format porcelain tile and travertine provided the basis for the floor and wall patterns used throughout the building common spaces. Interior glass storefronts allow speculative tenants greater visibility and access to interior lighting features. An exposed stringer stair with painted metal pan treads connects the first floor through lobby to the second floor elevator lobby space.